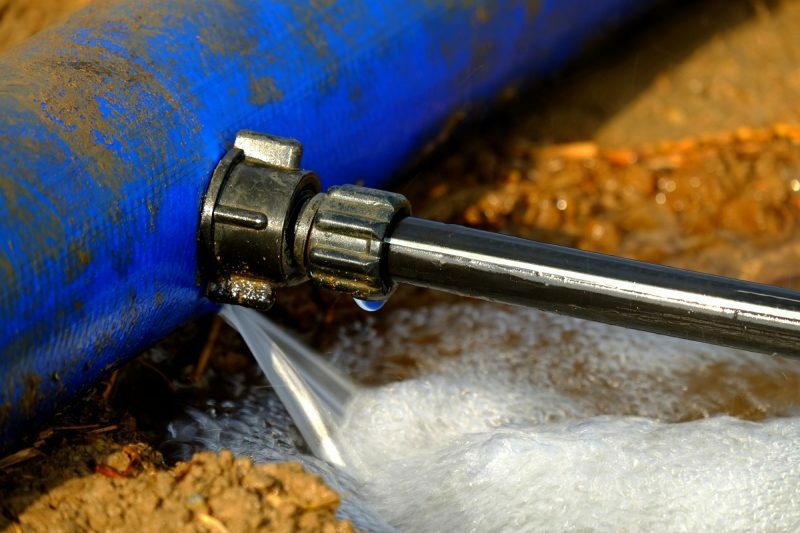 Water management might be thought of as the oversight and control of how water interacts with your core business processes, like manufacturing, agricultural production, and corporate offices. As companies build their water management capacity, they get better at measuring how much they use, using less water, and treating their wastewater to meet regulations and avoid fines. 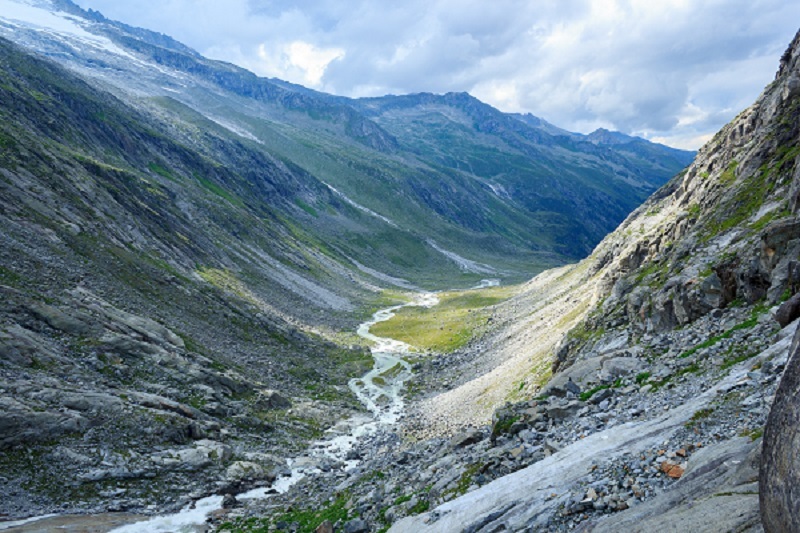 With respect to water stewardship and the Water Stewardship Journey framework, we label this cluster of management activities as “Operations.” Here I offer a brief overview of the range of Operations activities companies implement in their facilities and why. In Western countries, many of us take for granted the fact that our workplaces will have a clean, reliable source of drinking water; a sanitary and private way to use the restroom whenever needed; and a way to wash hands and practice menstrual hygiene. Unfortunately, in many places around the world this is not the case. An estimated 10% of the world population does not have access to safe drinking water, and over 800 million people still practice open defecation. And in fact, there are many workers in the United States who do not have reliable access to these basic services. For example, a 2018 study on farmworker housing in California’s Salinas and Pajaro Valleys characterized workers’ bathroom access as “extreme crowdedness.” According to a 2015 survey, 89,000 Californians live in substandard housing without private, indoor, flush toilets. These are quite often matters of life and death. An estimated 801,000 children younger than 5 years of age perish from diarrhea each year, mostly in developing countries. In doing so, companies can boost their productivity and reduce absenteeism through improved worker health, while insulating themselves from reputational damage and challenges to their license to operate. With these practices, companies can identify whether they are improving from year to year and month to month, where and when they can best drive improvements, how they are doing relative to competitors and stakeholder expectations, and so forth. Aggregated facility level data also proves invaluable in understanding risks and impacts and setting strategy at the corporate level. SAVEh is the platform through which Ambev shares its water management system free of charge with other companies, which has helped to reduce more than 40% of the company’s water consumption in the last 13 years. Lastly, a core aspect of any water stewardship strategy is implementing steps to improve your water use efficiency and treat your wastewater to appropriate standards that protect ecosystems and drinking water sources. In doing so, companies reduce operational costs, maintain their license to operate, avoid fines, and build resilience to water stress and other water challenges. For example, UK beverage company Diageo plc reduced the volume of its water withdrawals by nearly one million cubic meters in 2014 and estimates the associated cost savings at US$3.2 million total (CDP Water Report 2014). The introduction of a new soldering practice at Cisco significantly reduced water use and wastewater, saving the US electronics manufacturer more than US$1 million per year (CDP Water Report 2014). 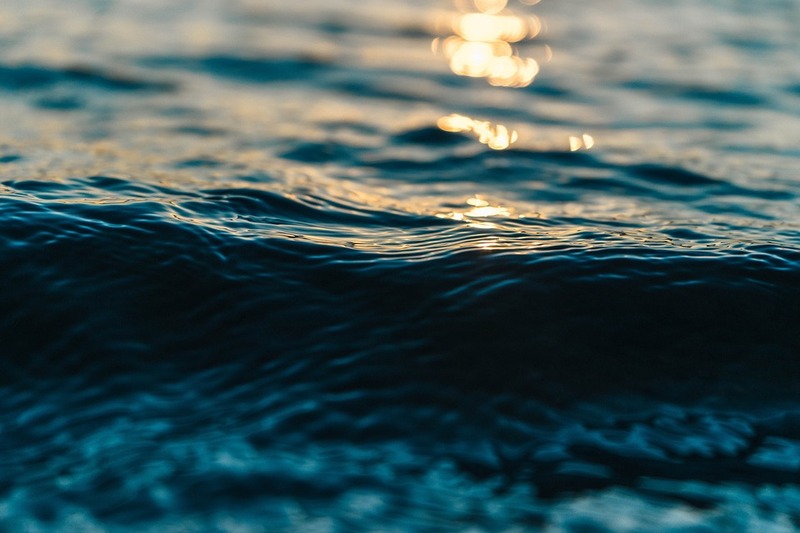 Upon completion of a water efficiency project, US pharmaceutical company Merck will save 2.1 million cubic meters of water and in doing so save US$500,000 annually. The most relevant and appropriate efficiency and wastewater treatment practices will vary greatly depending on industry sector. Agricultural operations will obviously differ from manufacturing practices, which will vary from office settings. 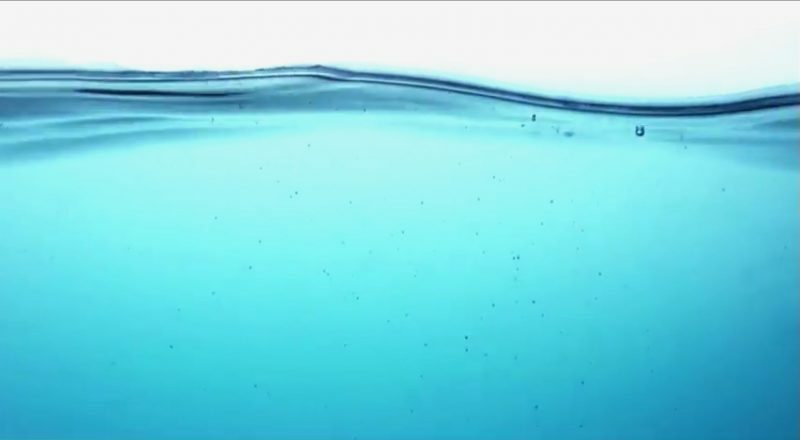 And various manufacturing operations (e.g., textile dying, semiconductor production, sawmills) will use water in quite different ways and thus require different practices. To identify good practices based on industry, go to the Water Stewardship Toolbox here. With that said, there are some practices that are widely applicable across industry sectors. For example, most advanced operations develop water management plans that are implemented on an ongoing basis by internal teams. These teams ensure that the operations follow the regular protocol, keep up-to-date on trends in their performance, identify leaks, and practice continuous improvement. 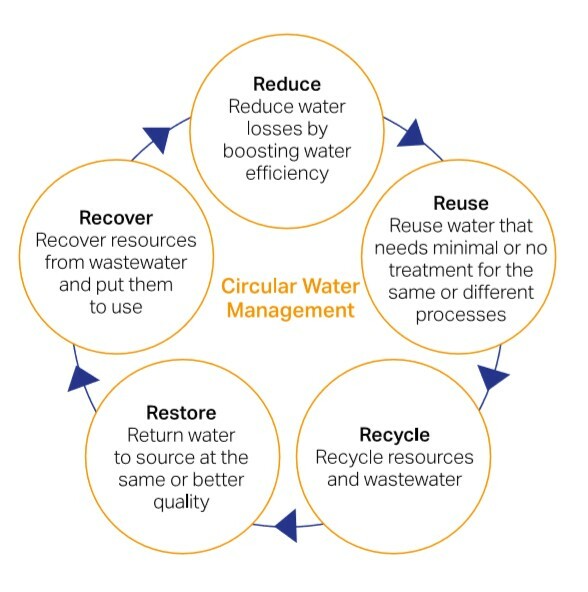 Likewise, many advanced operations practice water reuse (or the broader practice of circular water management), where they continuously reuse one source of water in a loop, thus saving incredible volumes of water. 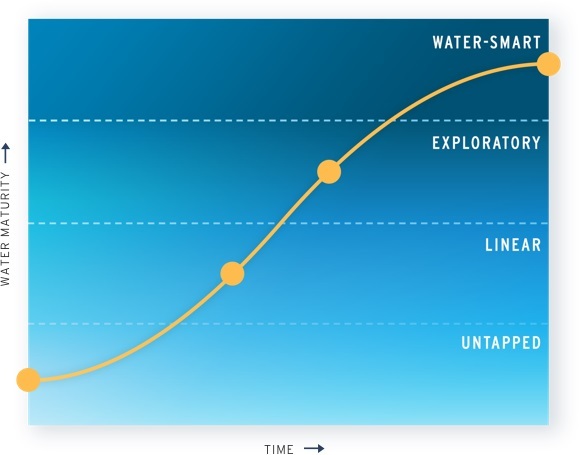 While the specifics of circular water management will differ greatly from operation to operation, the core concept is widely applicable across manufacturing operations. Water management measures not only help mitigate risks, but can also result in great benefits to the bottom line. 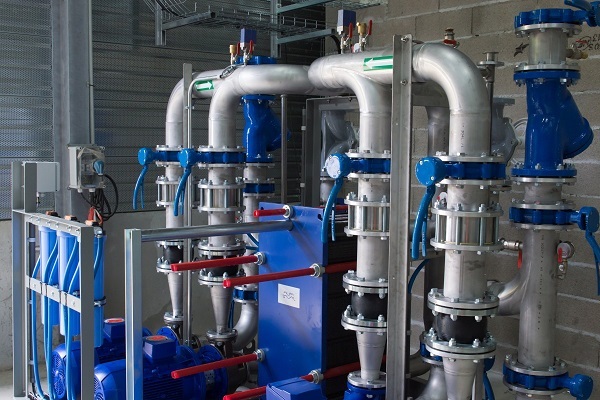 In fact, the average payback period for investing in water-efficient technologies in C&I facilities is one to four years, with many with a payback period of less than one year. Continually improve water management by reducing water consumption, attaining water savings, effective water treatment, efficient water usage, and responsible disposal practices.